We found 35 holiday homes matching your search criteria. Luxury Large 5* Lodge situated on Waterside Holiday Park with Panoramic Sea Views. This lodge benefits from double glazing and central heating throughout. Luxury Large Caravan (2 bedrooms - sleeps 6) positioned on the East of the Holiday Park with its own private parking space. 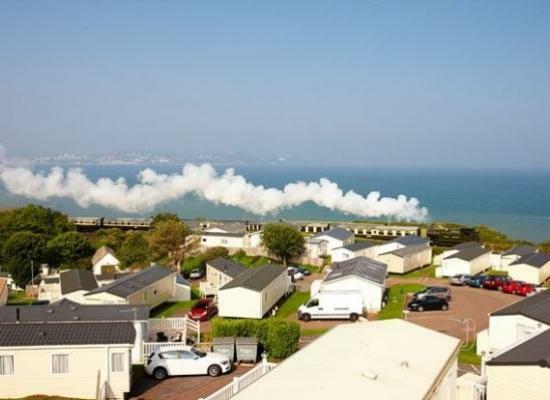 It has a sea view from the Veranda and a very good view of the passing Steam Trains. No. 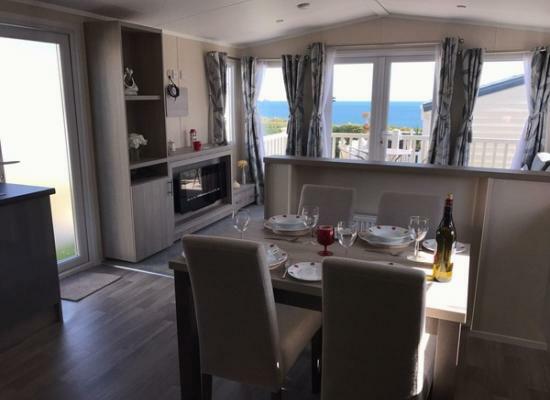 245 Waterside is a well equipped 6 berth gold caravan offering outstanding coastal and sea views across the English Riviera. 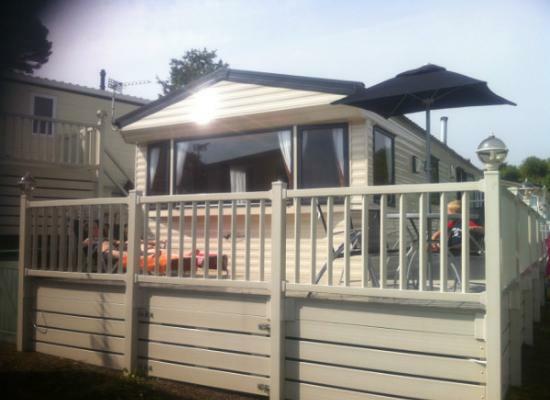 Ideal for families or couples situated at a great holiday park with something for everyone. Our privately owned home boasts amazing coastal walks and beaches, with its close proximity to the amazing sandy child-friendly beaches, coastal coves, scenic walks, is available to rent throughout the year. OCEAN VIEW: Our Delta Superior Caravan 40ft x 13ft is arguably one of the best located private plot on Waterside. The wonderful panoramic coastal views will take your breath away. 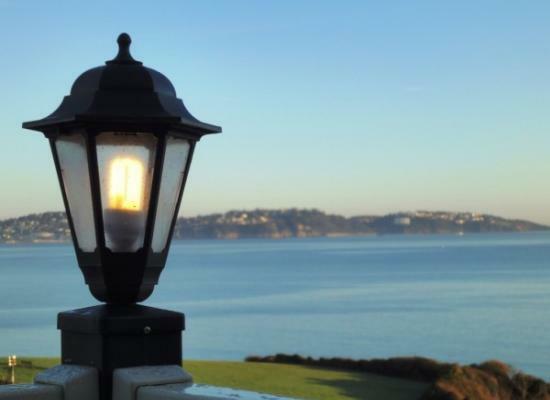 Lazy Days, a luxurious platinum prime location lodge, situated on the cliff top with panoramic views of Torbay. Open plan living, full kitchen, 3 bedrooms, 2 twin, 1 double with en-suite. Patio doors lead to gated decking area and seating. 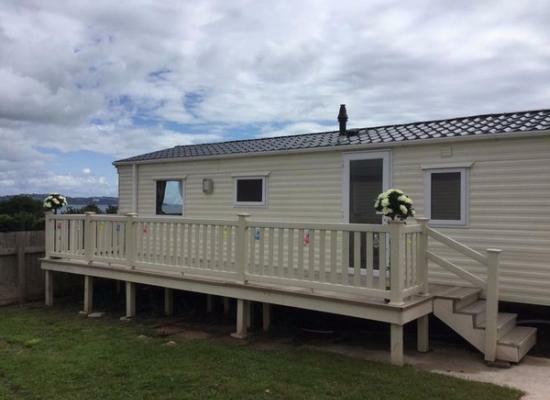 Our Prestige with deck grade caravan is on the prestigious "front row" of this quiet family holiday park adjacent to the sea in beautiful Torbay. Waterside has all he facilities you need for a lovely quiet family holiday in this area. Location IS IMPORTANT !Fantastic bay views from this brand new homely caravan, where the little touches mean a lot. DREAM VIEW LODGE Be among the many who enjoy this platinum-grade holiday lodge. 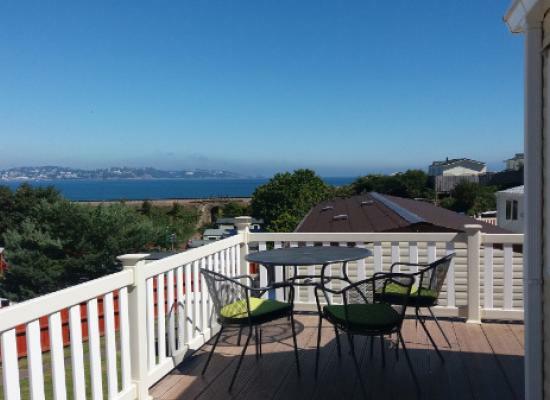 With it's privileged location at the top of the park, you can savour the stunning views of Torbay from the decking, or step inside & relax in the luxurious interior. 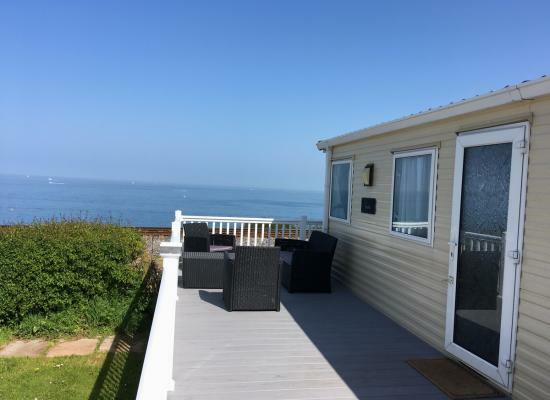 Static caravan for rental, set in a tranquil valley on the English Riviera between Paignton and Brixham with stunning coastal views of Torbay from the nearby headland. Sleeping 6 people in 2 bedrooms, a double, a twin and a sofa bed in the lounge. 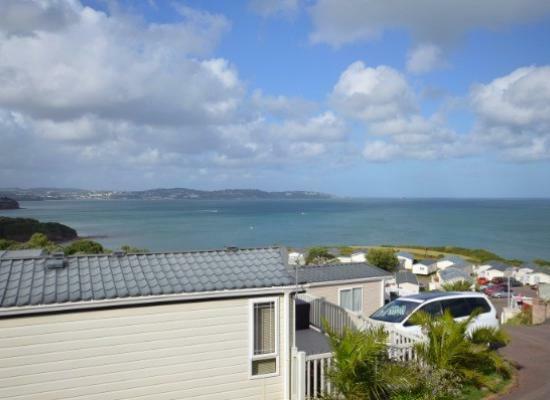 A 2017 caravan with beautiful sea views across tge bay towards Torquay this is a 2 bedroom static caravan based at the Waterside Holiday Park at Paignton, Devon which sleeps a maximum of 6 people. 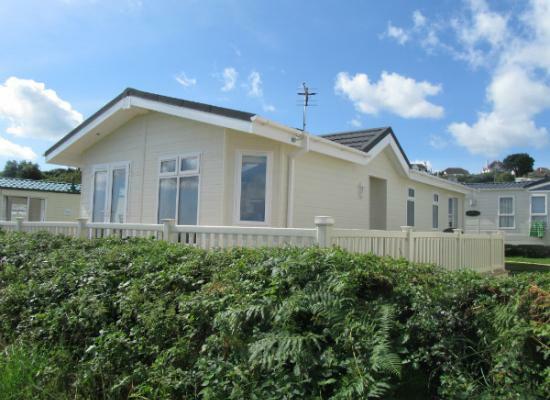 Seaview Retreat is a high quality holiday home with a well designed layout at Waterside Holiday Park. Patio doors open out on to a large deck with table and chairs to make the most of the fantastic sea views and steam trains that pass by. 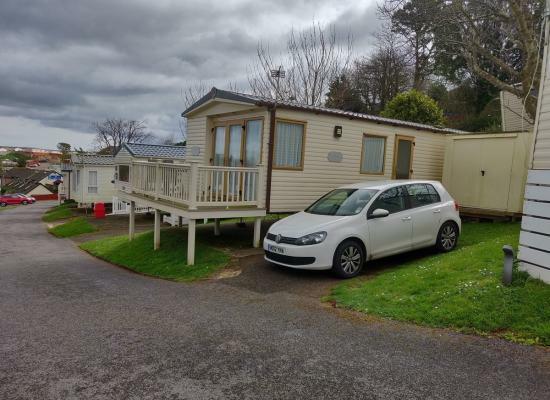 The caravans shown are available to hire on Waterside Holiday Park in Paignton, they are available for family fun caravan holidays or couples wanting to relax and getaway from it all. There are facilities on the park itself to keep young and old entertained plus during the summer there is an entertainment programme put on. 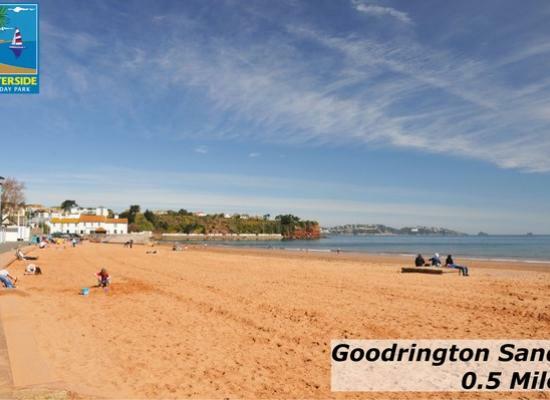 Waterside Holiday Park in Paignton, Devon is ideal for people wanting to explore the South West of England. There are many attractions in the area that the whole family will enjoy such as the numerous sandy beaches, Babbacombe Model Village, Dartmoor National Park and Crealy Great Adventure Park to name but a few.